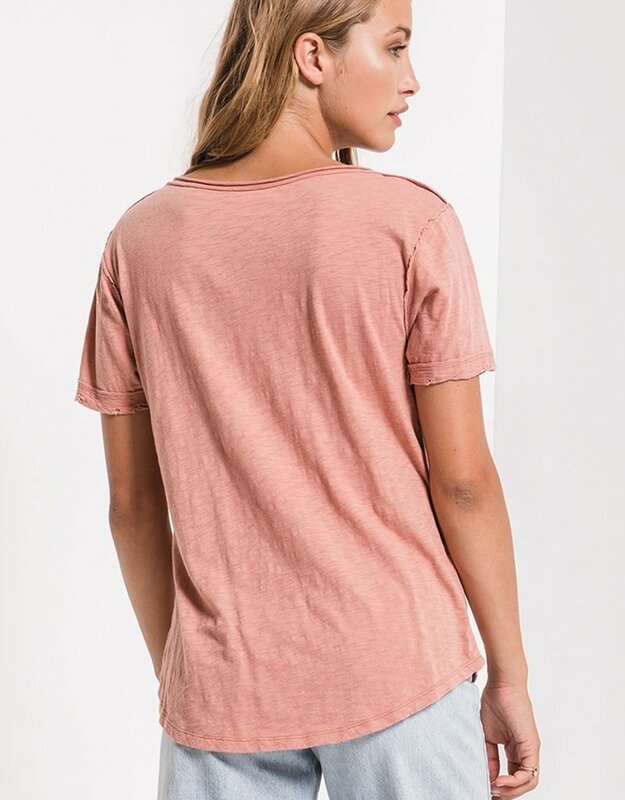 This cotton slub v-neck t-shirt features a v-neckline with raw edged seams, twisted sleeve hems, curved shirttail hems, and a relaxed fit. Care Instructions: Machine wash cold, delicate wash, gentle cycle, wash dark colors separately, do not bleach, tumble dry low, warm iron if needed. Wash before wearing.